One year ago, on Valentine’s Day, Wednesday, 14 February 2018, the unthinkable and unimaginable happened. A lone gunman, a 19-year-old ex-student, entered Marjory Stoneman Douglas High School in Parkland, Florida, and opened fire. In the aftermath of the horrific tragedy, seventeen innocent victims lay dead and seventeen more were injured. Among those severely injured that day was 17-year-old Maddy Wilford, a member of the Coral Springs Ward of The Church of Jesus Christ of Latter-day Saints (often mistakenly called the “Mormon Church”), who was shot multiple times. At first, the first responders thought she was dead. However, when they realized that she was still alive, they immediately took actions to stabilize her, which saved her life. 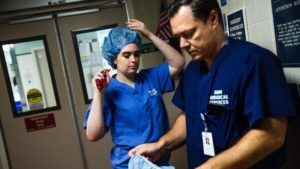 She bravely fought for her life at Broward Health North Hospital and underwent five surgeries to repair the substantial damage to her arm, back, and torso. Sadly, her fellow ward member, 14-year-old Alaina Petty, was killed in the mass shooting. Maddy’s recovery has been nothing short of miraculous. Her mother, Missy Wilford, told the Church News that prayer and priesthood blessings have played an essential role in her daughter’s ongoing recovery. 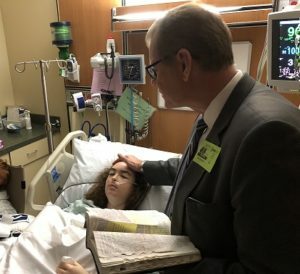 Elder Stevenson of the Quorum of the Twelve Apostles and Elder Jörg Klebingat, a General Authority Seventy, visited with Maddy in her hospital room, and Elder Stevenson gave her an apostolic blessing. Maddy’s father, David Wilford, recalls that meeting with Elder Stevenson was an incredible experience. He told Church News, “He gave her an apostolic blessing. It was something I hadn’t seen before. He used it to bless the whole family. 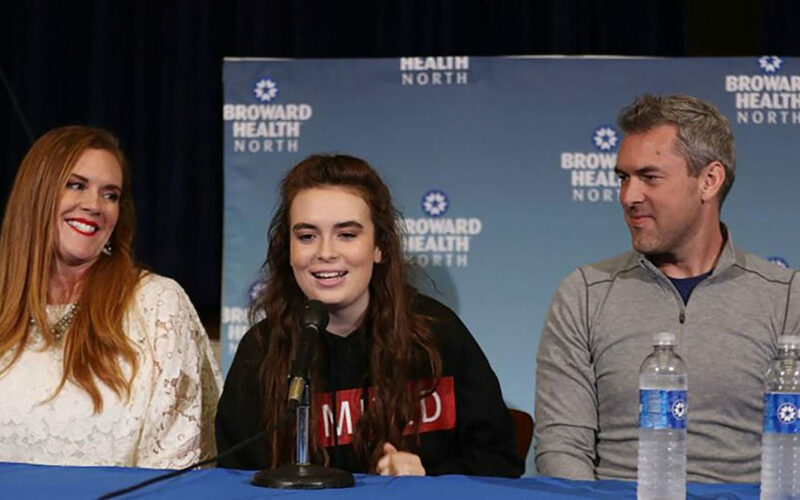 … There’s no question in my mind that’s why she’s doing so well.” Maddy was discharged from the hospital on Wednesday, 21 February 2018, just one week after the shooting. In May 2018, Maddy got a service dog, a German shepherd named Anya, to help her cope with the physical and emotional trauma she sustained. She is looking forward to her high school graduation. She plans to study medicine in the future, but for now, she is taking some time to heal mentally before dealing with the stress of college. 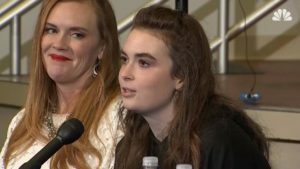 Her mother says that Maddy has been an inspiration to her.